Crossing the Jordan is a new weekly opinion column from editor-at-large Jon Jordan. As nature abhors a vacuum, so the entrepreneur looks to overturn market equilibrium. Indeed, such is the vogue for startups to "disrupt the market", it's become a cliche. Right now, someone, somewhere in the world is (probably) completing an MBA dissertation entitled 'Disrupting Disruption'. But disruption matters and is happening. Netflix, Airbnb, Uber, Go Pro, Twitch and Telsa are all household names. Maybe Oculus, 23andMe and Hexo will be next. On a much smaller scale, over the past few years, we've seen the steady maturing of the business model for mobile games. Paid downloads from the App Store worked for a while until the volume of content being released meant the only way most developers could improve discovery was to drop their app's price to the minimum available - $0.99. The emergence of the free-to-play world broke that stasis, with games likes Clash of Clans and Candy Crush taking the headlines from Angry Birds and Cut the Rope. Now, however, with global growth rates in decline even in China, the only options available to are hooking up with brands (something limited to big companies like Glu Mobile and Kabam), or playing the viral lottery (won in 2013 by Flappy Bird, in 2014 by Crossy Road and maybe in 2015 by Agario). Can anything disrupt the F2P business model?Both Nintendo and Amazon think they can. Certainly, anyone looking to take the conventional marketing route for their mobile games needs UA tablestakes of tens of millions of dollars. In that respect, at least, the era of free-to-play games is over. Not over in the sense that free-to-play games are dead; only that it's not longer a viable market for conventional business success. Some developers have already switched to new platforms. The wearables market looks like it will be niche at best, so most investment is being ploughed in virtual and augmented reality; both expensive to consumers and still nascent. Equally, these are emerging platform plays. Their opportunity is to create a brand before there's too much competition: to become the platform's Angry Birds, Clash of Clans, Halo etc. It's not clear that the businesses models of these platforms - paid or micro-transactions - will offer anything different. Instead, when it comes to real disruption, we turn to two alienated companies - Nintendo and Amazon. Nintendo's fall from grace in recent years is well documented. It had myriad opportunities to get involved in the early days of mobile gaming in the advanced Japanese market but the lure of its own hardware always proved too strong, at least until the company become so weakened it had to make the move. Amazon's place in the mobile games market is more complex. It's been running its own Android-based hardware and store since 2011, but the whole process is less than transparent. For one thing, Amazon has never announced any figures in terms of its devices' install base or users of its Appstore. Clearly the Fire Phone has been an expensive disaster. Similarly, the assumption is its userbase is heavily concentrated in middle-aged, middle-class North America, giving it great financial potential but only for a certain type of content. Nintendo's games won't be free-to-play but will be free-to-start. More strategically worryingly is its business is a high walled garden for content creators and consumers, which in the latter's case can't be accessed without going into your device's security settings. In this way, Amazon's vertically-integrated market should be a very strong player in the mobile (games) sector but is an also-ran. It's from these positions of relativeness weakness the companies hold out the opportunity of real disruption. Significantly, both are very clear in their positioning. Nintendo doesn't say its games will be free-to-play. They will be "free-to-start" (whatever that means), and offer - it is believed - a different approach to micro-transactions. Meanwhile Amazon has just launched its experimental Underground store in which games (and apps) are "really free" for consumers, with developers receiving $0.002 for each minute someone spends playing one of its games. Of course, we don't know whether either approach will work. 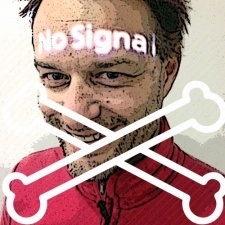 Both are based on the assumption that consumers in some way are unhappy with the status quo; not an attitude the revenue numbers from King and Supercell corroborate. Yet, as Steve Jobs is often quoted, 'Consumers (in this case, gamers) don't know what they want'. If Amazon can create a better commercial environment for developers - it already has Sega, Glu, Disney and Rovio signed up for Underground - and the power of Nintendo's brands result in hundreds of millions of gamers playing, interacting and spending in mobile games in a different way, change could happen very quickly. And given that these are changes that will impact the design and monetisation of mobile games, as well as consumers' psychology when it comes to the value exchange of money and entertainment, as well as being fast, if it happens, it will change everything. Thanks for the good read Jon. I think about this issue a lot. Where to go next for F2P mobile when discoverability stinks and it’s an insane UA money game. 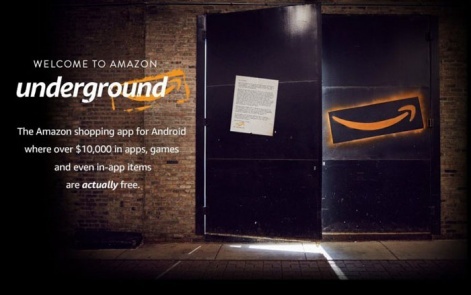 Regarding Amazon Underground, most outlets have failed to report that it’ll be largely ad-driven. So the price of free there for consumers and getting paid 12 cents an hour to developers is the user’s tolerance to put up with a barrage of interstitial ads while spending an inordinate amount of time playing the game. Not the greatest set-up for engagement and driving revenue in my opinion. Not to mention that the current selection of games are mediocre and that F2P mechanics will be potentially broken under this new system of unlimited play – no pay. As for Nintendo’s “free to start” approach, it’s hard to comment on that without any additional details from Nintendo or their partner DeNA. One could surmise that it involves allowing players to play up to X level before hitting a paywall or limiting availability of characters (through a grind or paywall). I don’t think their pay scheme will be the primary factor in defining their success or failure on mobile. I think their success will be predicated on how they design and position their valuable IP to attract and capture new/casual players and not just the Nintendo fans (similar to what the Wii achieved). - Social media communications platforms like WhatsApp or Snapchat integrating F2P games as part of their services similar to what Line, Kakao and other services have done in Asia. - Paid cash/rewards based systems that fill your wallet or give you hook-ups for playing games and achieving certain goals within them. If this was beautifully tied to services like Google Wallet or Paypal, it could really takeoff. - If real gambling ever got approved in North America for mobile…whoa nelly!